More than 250 union leaders attended a global labour conference on climate in Paris September 14 and 15, 2015. They were preparing for a major United Nations climate conference to be held in Paris November 30 to December 11, 2015. The international labour movement will be conducting massive demonstrations around the world just before the UN conference. 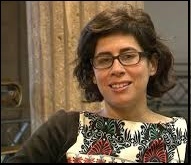 A RadioLabour interview with Anabella Rosemberg the policy officer responsible for environmental issues at the International Trade Union Confederation – the ITUC.